The extradition of WikiLeaks co-founder Julian Assange could take months or years, a human rights lawyer has told Euronews. 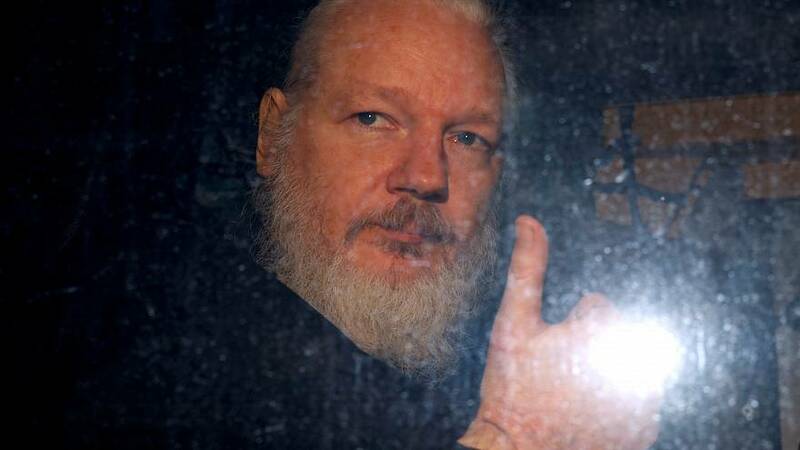 Assange entered the embassy following sexual assault allegations in Sweden, fearing that once he was in court he would be extradited to the US. He is wanted stateside over an investigation into WikiLeaks' release of classified documents relating to the wars in Afghanistan and Iraq. His arrest was prompted by Ecuador removing his asylum protection after the UK assured them that they would not put Assange in a position where he would face the death penalty or torture. Now Assange has been remanded in custody in the UK, the US have has brought federal conspiracy charges against him. Shoib M Khan, a human rights lawyer, told Euronews it is likely Assange will end up in the US, but it could take months or years to reach that stage. Given the extradition treaty between the UK and US, it is likely the UK will have to honour it, Khan added. Swedish prosecutors are now under pressure to reopen the sexual assault case against Assange. which was dropped two years ago. Should this happen, two competing extradition treaties will be invoked both of which the UK will have to honour, Khan added. Speaking at a press conference yesterday, Assange’s lawyer Jen Robinson said that the arrest set a "dangerous precedent" for those "publishing truthful information about the United States". Khan agrees with this assessment: “Even though the charges that have been charged against him from the US seem to be the lighter ones of trying to hack a computer, it was previously thought that maybe the US would try and bring the strongest charge they could, maybe espionage or something similar which they haven’t done."